We have a series of well thought out floor plans designed to get the most efficiency out of each transportable home. 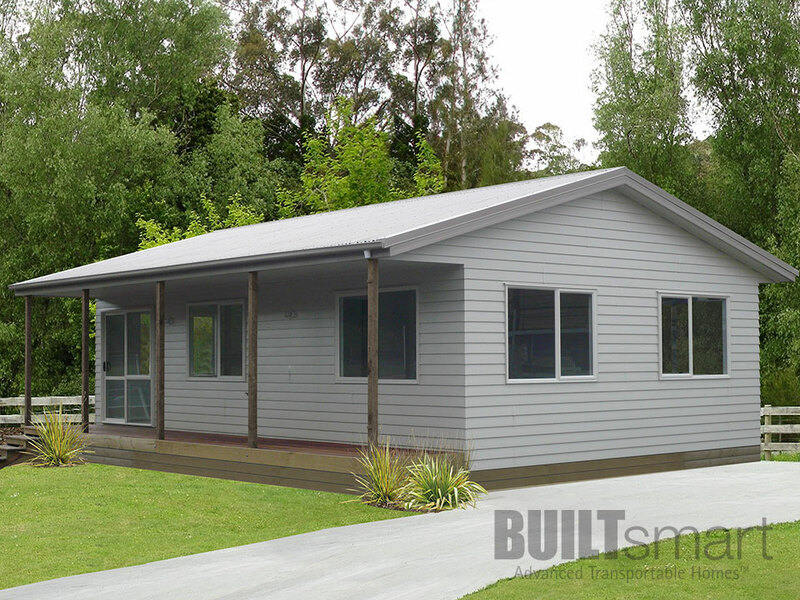 Our modern BUILTsmart transportable homes often have larger floor areas than conventionally built homes. We've divided the transportable homes floor plans into categories based on the number of bedrooms they have, plus one additional category for the trendy Show Home transportable home. Once you've decided on the best floor plan layout, consider what you want your home to look like from the outside. With BUILTsmart, any floor plan you choose can be matched to a variety of roofing and cladding options. For example, you can choose a gable roof or a mono pitch roof. You can choose from a various cladding options or mix and match the cladding to create interesting design elements. 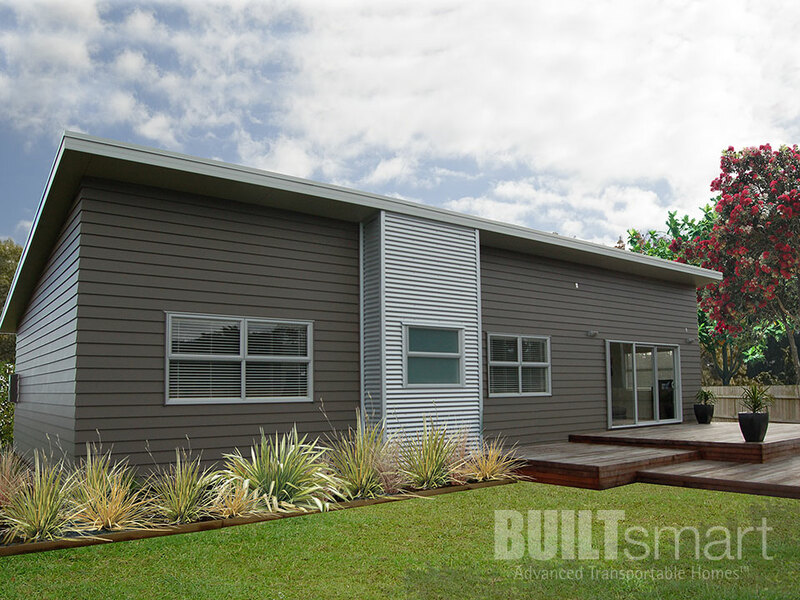 Through our efficient building methods, BUILTsmart Advanced Transportable Homes are priced so well that even though they come completely pre-built, the price you pay is similar to the base price of a kitset home. Yes, we can provide you with a new home built at a similar cost to a kitset house without the additional builder costs that kit set homes incur. Plans are grouped by the number of bedrooms in the house. Prices are displayed under each floor plan. You'll see the prices are displayed under each floor plan. The prices include a beautifully crafted kitchen installed and everything else you'd expect in a new modern home. Visit our specifications for a full list of inclusions. We realise that every customer has specific needs and requirements for their building projects, and it is our policy to always meet these needs by offering affordable solutions. The prices listed are based on transportable homes with a gable roof and Palliside cladding. Choosing other materials or styles may not cost as much as you think so contact us with your preferred options, and we'll work on a solution to suit your budget. It's not unusual for our customers to have their own ideas or plans, and here at BUILTsmart we encourage you to make the design exactly the way you want it. A bigger room here, or an extra cupboard there are common requests as is simply flipping the design to face the sun, and adding sliding doors to access a sunny deck. You can either customise one of our existing transportable homes floor plans, or start from scratch with our design team. We can also work your own designer or architect.